gardening in the boroughs of nyc: Fresh Basil is Intoxicating! 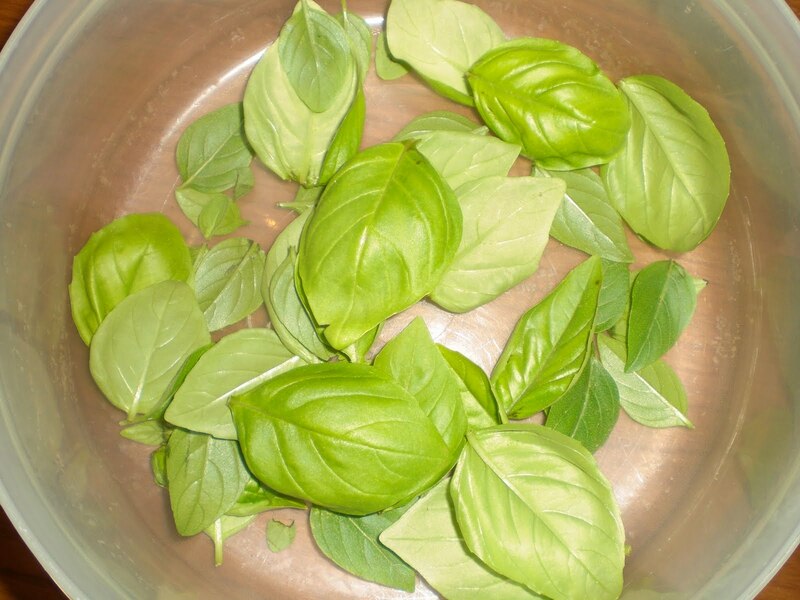 Nothing beats the smell of fresh basil! Oh my goodness, it's like the scent makes me think about all the great Italian food I can make with it. Worried about the basil growing so close together, I decided to pick some of the basil out in the container pot today. Thanks for the advice thyme2garden! 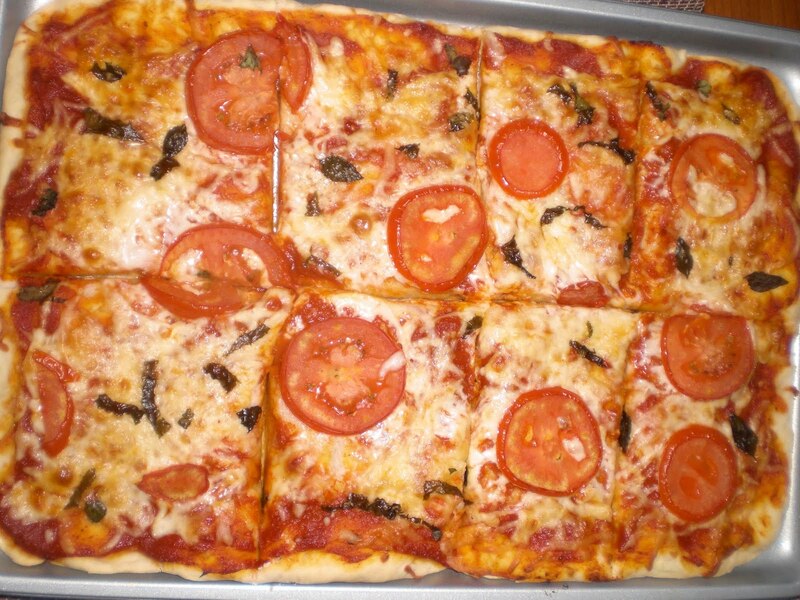 With the basil, I decided to make PIZZA! 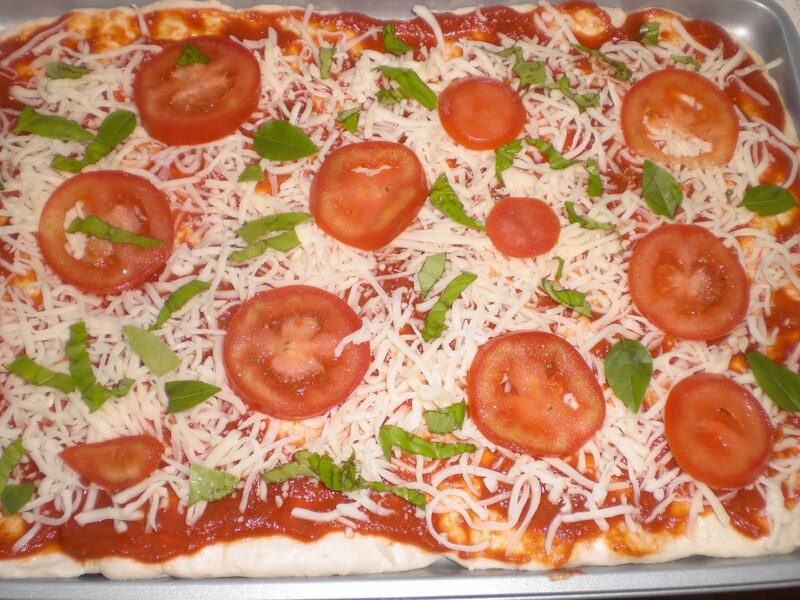 I like to make my own pizza dough. I use the pizza dough instructions from the back of the yeast packets. I also buy the yeast from Fleishman's that says "pizza crust" on the label. For some reason, this yeast makes a better crust than the regular yeast. I wish I had enough tomatos to make my own sauce, that would be cool. So far, I've only been picking like 1-3 tomatos every other day. Soon, though, very soon! The tomatoes on this pizza are from the supermarket. 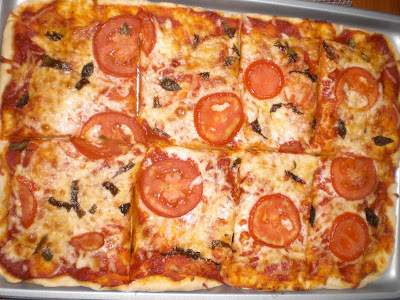 Garden tomatoes or not, this was still a good pizza! This is definitely the season for pizza. Before we know it, the season for basil and tomatoes will be over. The pizza looks yummy. I could totally go for a slice right now! Your pizza looks great! I didn't even see any yeast packets with the "pizza crust" label at the store, but I will look for it next time. And thank you so much for the mention on this post!! I think your basil will still grow just fine even if they are close together, but I do think that they grow better (bigger) if you give them more room, which will result in more harvestable basil for you. If you'd like, check out the difference between my crowded and uncrowded basil. Well, the difference could also be from the indoor outdoor thing, but there's definitely a difference here!